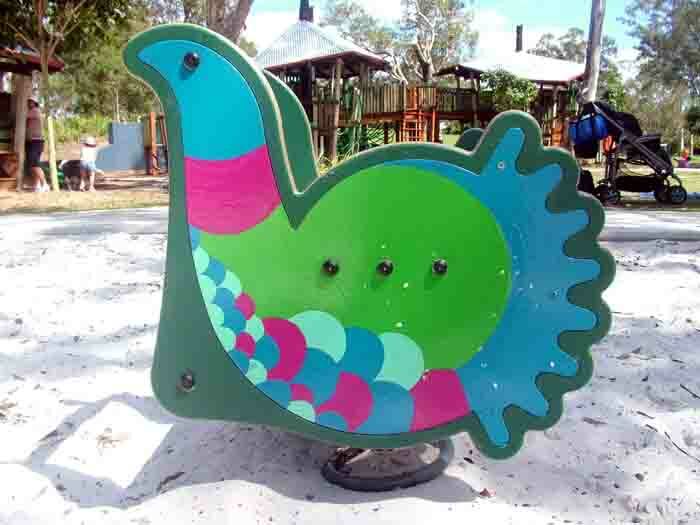 Location: Kalinga Park Playground, Clayfield, Brisbane. 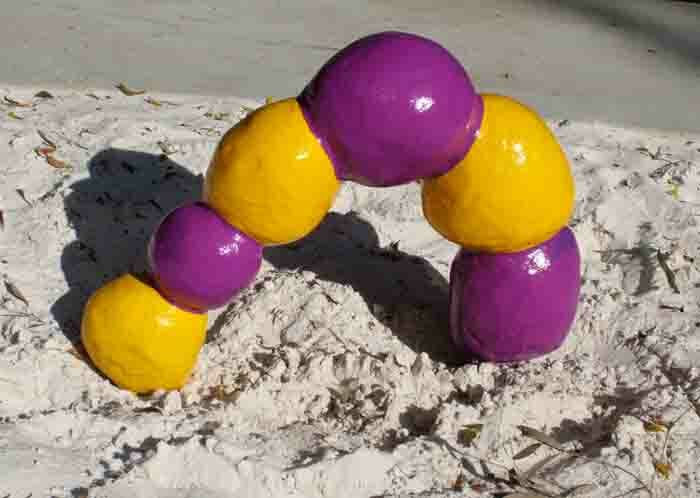 Sculpture: Hand sculpted cement fondu over steel frame, water sensors. 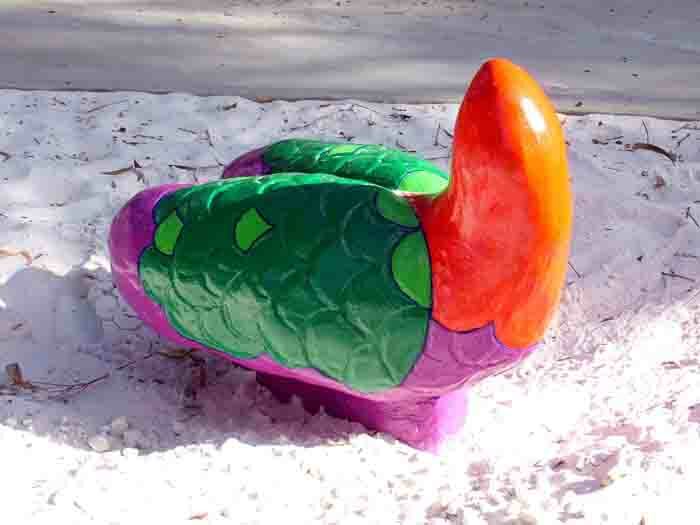 Spring Toys: Designed and hand painted by artist. 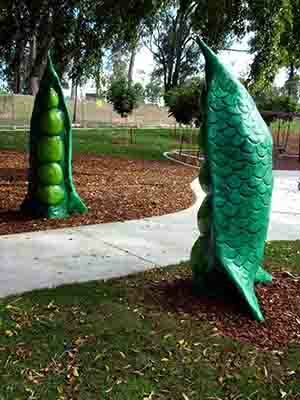 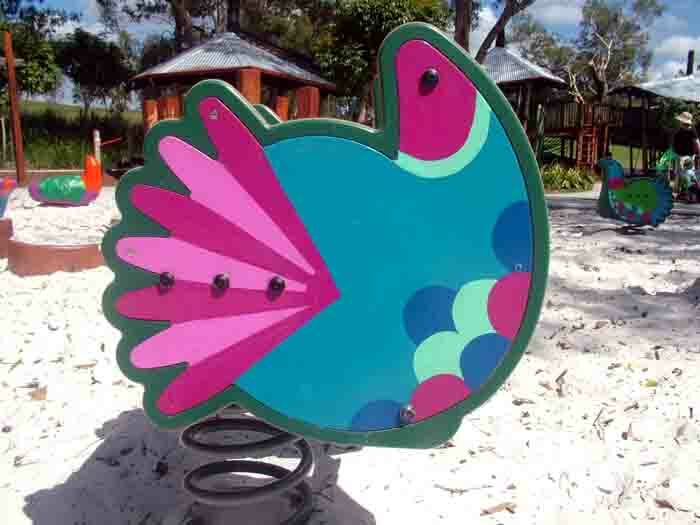 Wonderland consists of interactive sculptural play elements which were inspired by local flora and fauna of the Kedron Brook catchment. 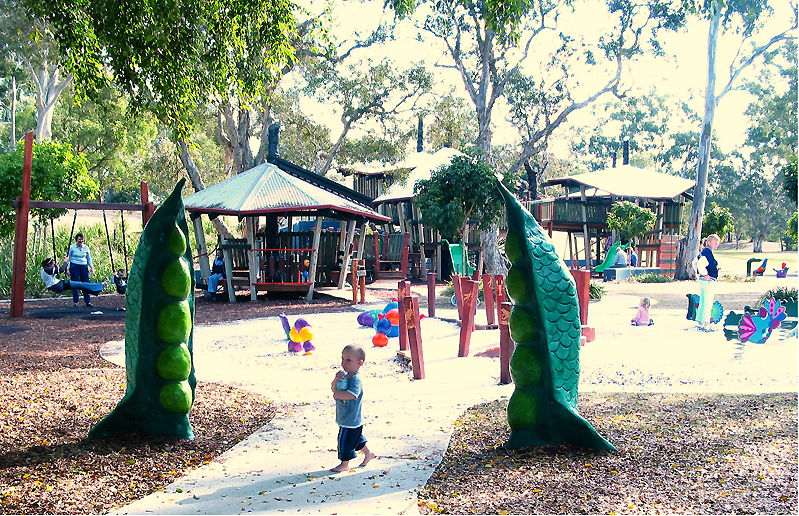 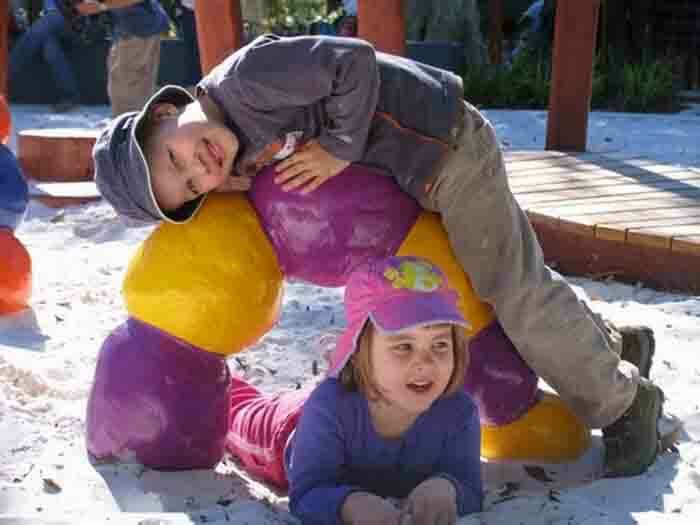 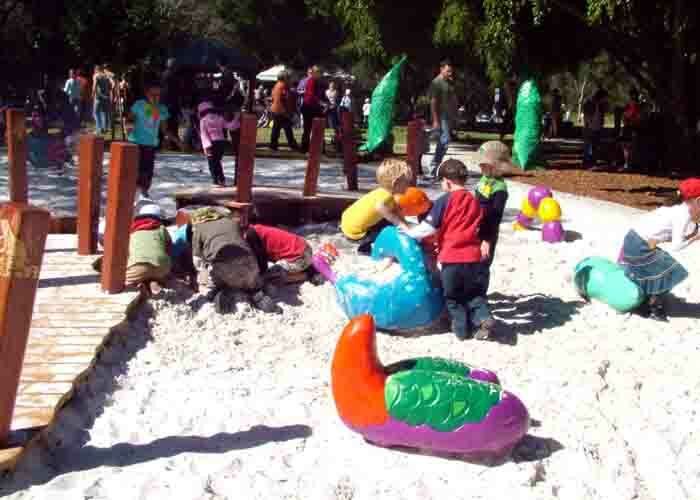 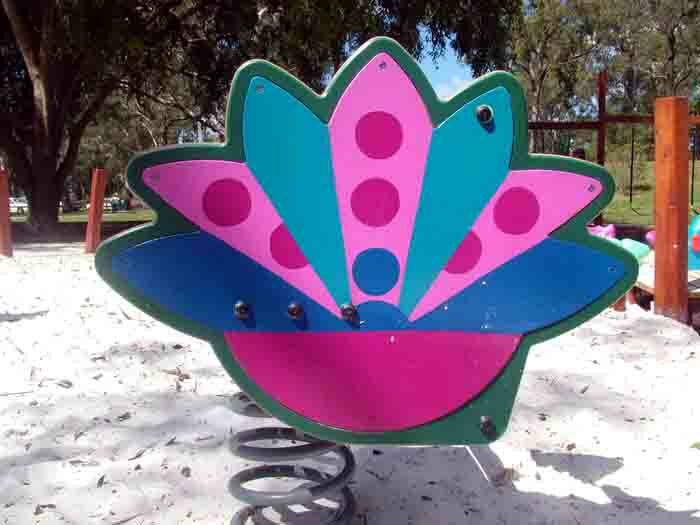 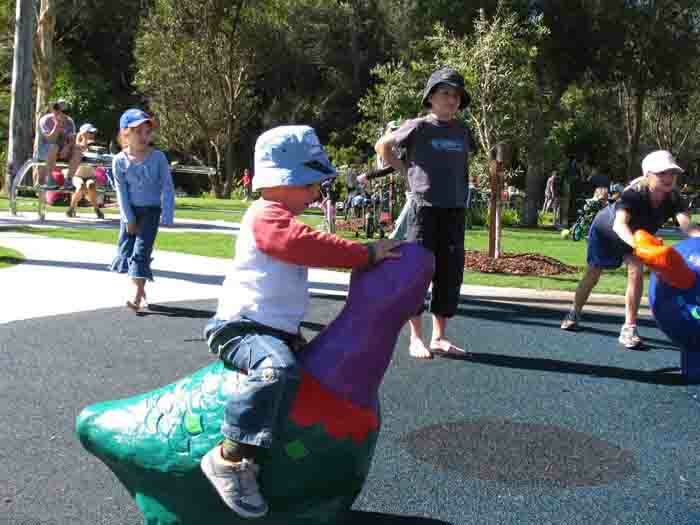 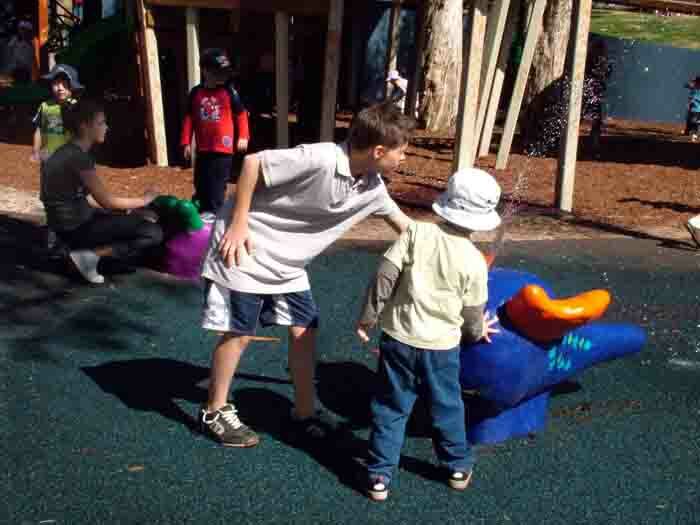 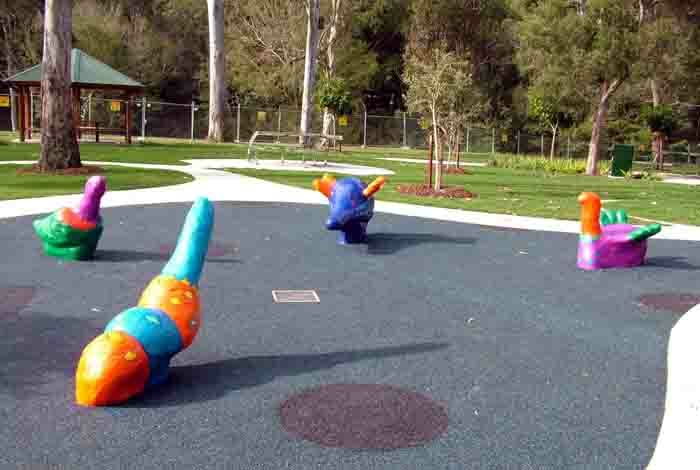 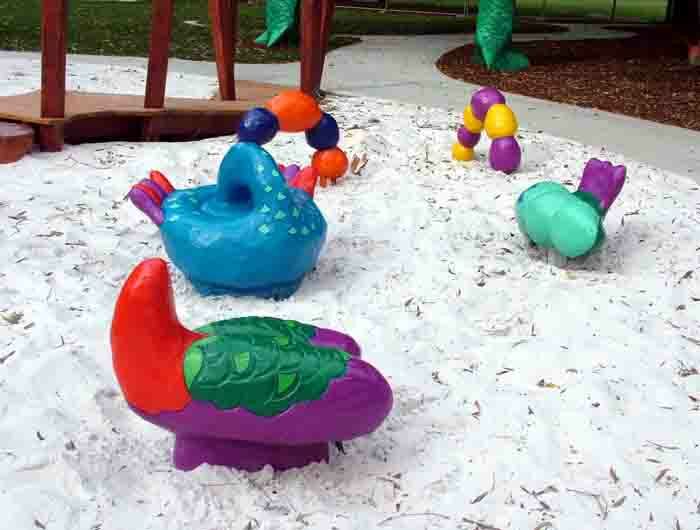 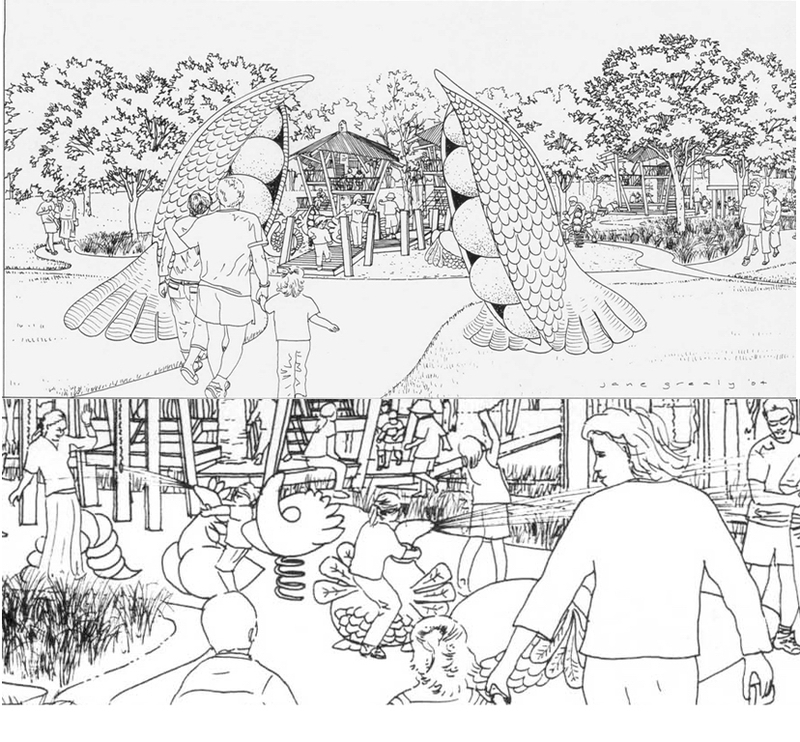 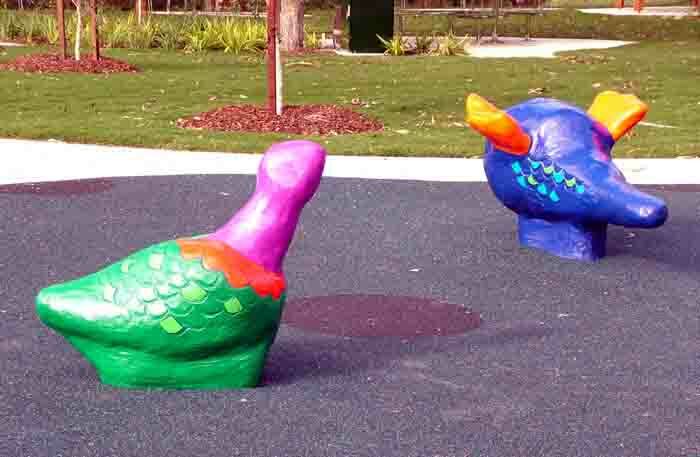 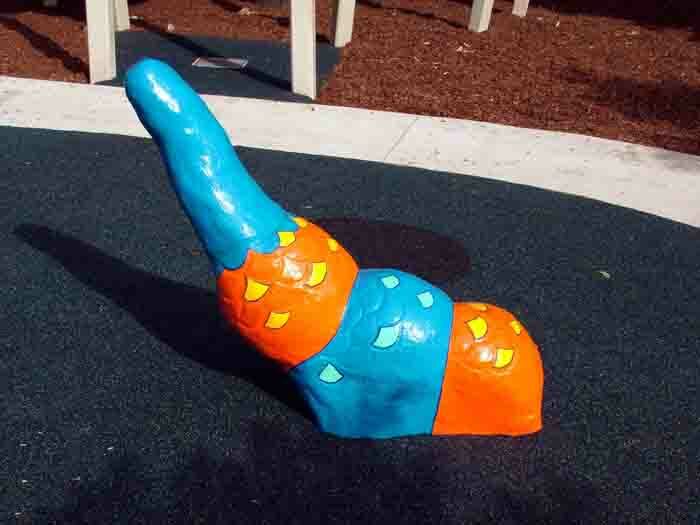 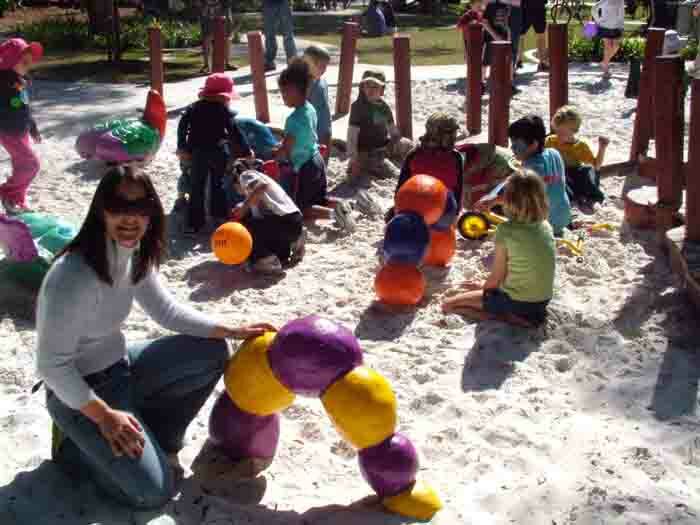 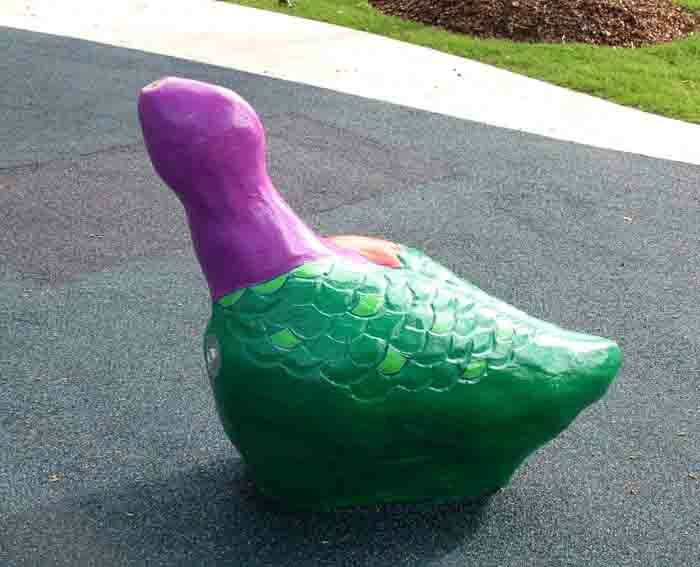 Twelve sculptures were developed in accordance with Australian Standards for Playgrounds and Surfaces to create a toddler play space and water play space for older children. 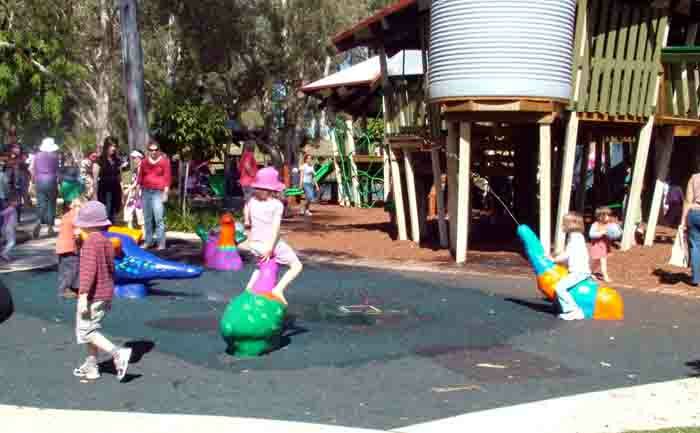 Sensors are built into the works which spurt water when pressed. 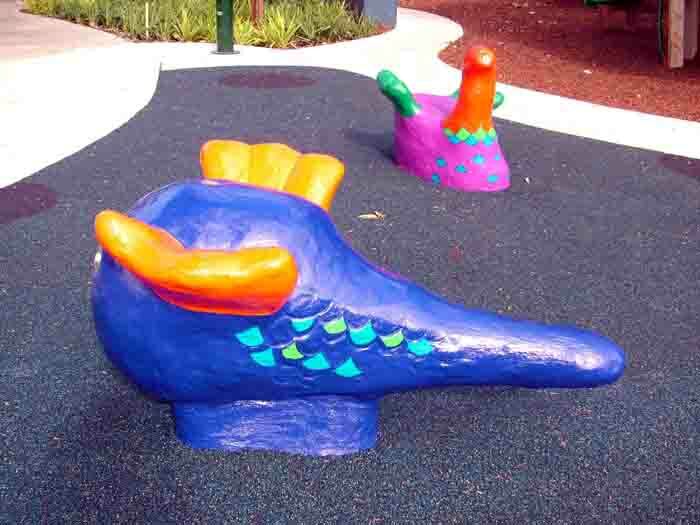 These whimsical ‘creatures’ inspire creative play and children invent their own names for the pieces….“Look mummy, it’s a Bird Fish”.